Will SEBI Shut Down The Close-ended NFO Factory? Home > Financial News. Simplified. > Will SEBI Shut Down The Close-ended NFO Factory? It’s evident that the capital market regulator—SEBI (Securities and Exchange Board of India) is on a mission to protect the interest of mutual fund investors. At the Association of Mutual Funds in India (AMFI) summit that concluded recently, SEBI chief, Mr Ajay Tyagi hinted at framing a new policy for close-ended schemes. Perhaps for the first time, the capital market regulator acknowledged that investors of close-ended schemes are more vulnerable to mis-selling. How are the close-ended schemes promoted? They make a convincing sales pitch to investors by describing close-ended schemes to be a perfect choice for long-term investors since these don’t have easy exit options. Arguably, the close-ended nature of these mutual fund schemes offers a fund manager time and flexibility to take long-term bets. But in reality, the close-ended mutual fund schemes are one-sided deals; meant to benefit the mutual fund house, not you, the investor. Investors who are uninformed about the benefits of Systematic Investment Plans (SIPs) are more likely to invest a lump sum in close-ended mutual fund schemes. The close-ended nature and high lump sum investments translate into higher Assets Under Management (AUM) for mutual fund houses. Selling open-ended mutual fund schemes have become less profitable for mutual fund distributors due to various regulatory controls. Mutual fund houses offer close-ended schemes as a ‘compensatory opportunity’ to their distributors. Distributors play a crucial role in the success of mutual fund houses after all. At present, close-ended schemes aren’t at par with open-ended schemes in terms of regulations and disclosure requirements. This further encourages mutual fund houses to launch similar schemes under different names and garner more AUM. Ever since SEBI clamped down on scheme duplication and insisted on mutual fund houses to merge alike schemes, mutual fund houses have been taking the close-ended route. It seems SEBI has realised that mutual fund houses have been making a mockery of its rules by finding loopholes. What to expect from the capital market regulator? Did you know these shocking facts about close-ended mutual funds? 50 equity-oriented mutual fund schemes out of 127, which exist at present, were launched in the last one year. Out of 127 schemes, nearly 90 have underperformed their benchmark index since inception. Total 31 close-ended schemes have been in existence for three years, but only 3 of them have managed to outperform NIFTY50-Total Return Index (TRI). 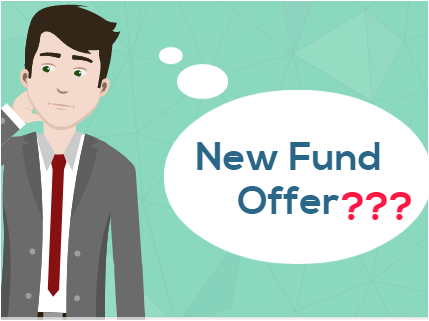 Can you believe, a fund house promoted by a state-owned bank offers 7 Equity Linked Savings Schemes (ELSS) via the closed-ended route? Albeit late, SEBI will now check this highway too. Mutual funds houses have been exploiting gullible retail investors. With that said, the capital market regulator should probe into the close-ended schemes launched until date. With a majority of them launched over the last years, during a time when many fund houses had stopped accepting new inflows in their open-ended schemes, the timing of launch appears highly questionable. Haven’t there been instances where mutual fund houses have sold the same stock from the portfolios of existing open-ended scheme(s) and bought more or less the equal number of shares in the portfolios of close-ended schemes? If SEBI uncovers such instances, the concerned fund houses shall be severely punished. This would be a clear case of salvaging a fund at the cost of another. Why will the new and gullible investors pay mutual fund houses for such raw deals? For over a decade, PersonalFN has been writing about the disadvantages of close-ended schemes for investors. And, its unbiased voice has reached the regulator finally. What’s the best alternative to investing in close-ended schemes? If you are willing to take advantage of movement in the small and midcap space and also seek the safety of large caps, consider adopting ‘Core and Satellite’ approach to mutual fund investing. This strategy aims to get the best of both worlds, that is, short-term high-rewarding opportunities and long-term steady-return investing, and the good thing is, it works! The term “core” applies to the more stable, long-term holdings of the portfolio; while the term “satellite” applies to the strategic portion that would help push up the overall returns of the portfolio, across market conditions. The ‘Core and satellite’ investing is a time-tested strategic way to structure and/or restructure your investment portfolio. It is a time-tested strategy followed by some of the most successful investors. As far as your mutual fund investments are concerned, the ‘core portfolio’ should consist of large-cap, multi-cap, and value style funds, while the ‘satellite portfolio’ should include funds from the mid-and-small cap category and opportunities style funds. PersonalFN’s research states that 60 per cent of the portfolio shall be reserved for Core mutual funds and the rest 40 per cent for the Satellite mutual funds. PersonalFN offers you a great opportunity if you’re looking for “high investment gains at relatively moderate risk”. 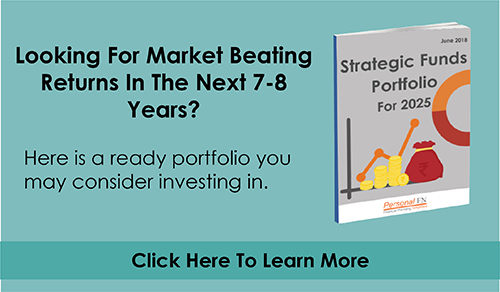 Based on the ‘core and satellite’ approach to investing, here’s PersonalFN’s exclusive report: The Strategic Funds Portfolio For 2025 (2018 Edition). In this report, PersonalFN will provide you with a ready-made portfolio of its top equity mutual funds schemes for 2025 that can generate lucrative returns over the long term. PersonalFN’s “The Strategic Funds Portfolio for 2025” is geared to potentially multiply your wealth in the years to come. Subscribe now!